Old lead which has not benefited from the protection of Patination Oil discolours and loses its appearance. This is because the surface stains white with carbonation and other environmental contaminants. At this point, the only way to recover its appearance is to treat it with Lead Renovation Paint. Our lead flashing repair paint acts as an effective waterproof coating for your roof. It immediately waterproofs to seal leaks in a wide range of roofing materials. The fibres contained in this roof paint will help to repair damaged roofing materials while allowing natural thermal movements of the roof. It is perfect for many different types of roofing including flat roofs, slate roofs, asphalt roofs and much more. Lead flashing is commonplace on most residential roofs. It offers unrivalled adhesion to building materials that are affixed to the lead flashing. This will ensure a watertight joint to brick, concrete, slate, cladding and other building materials. That’s why it is vital to ensure you lead flashing is in good condition with our lead flashing paint. Our lead sealer paint is second to none for repairing and sealing cracks, holes, leaking seams and age-related damage. It will ensure that the damage is sealed, repaired and completely watertight. Our lead flashing paint works brilliantly in even the harshest conditions such as coastline locations. It is perfect for use around roofing, windows and doors as well as roofing materials. This lead flashing paint is used to create an impermeable seal if there is a joint on your roof. This helps you to save money on potential repair costs if future problems occur. If you decide to paint lead with our lead renovation paint, it will help prolong the lifespan of your roof. 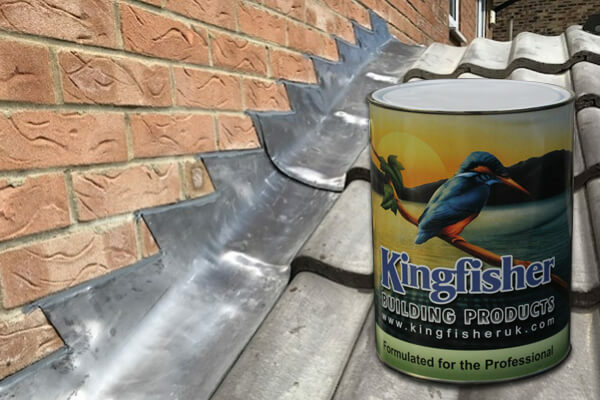 The Kingfisher lead flashing repair paint is ideal in even the harshest British weather conditions. So, you can rest assured of its durability and effectiveness. We have a wealth of experience developing lead renovation paint. 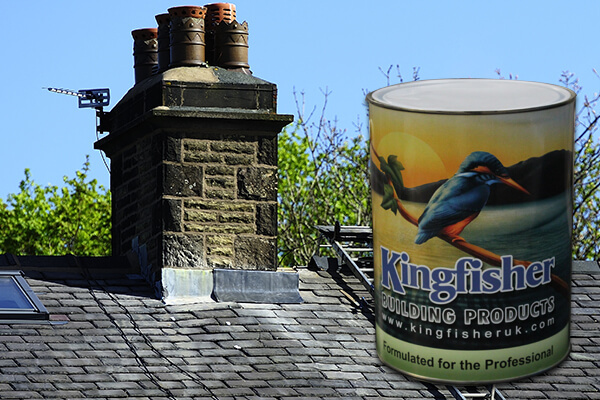 So, if you are looking to paint lead to help renovate or protect your roof, Kingfisher have you covered. Kingfisher Lead Renovation Paint is made using a high bond polymer which gives excellent longevity, colour and adhesion. Fantastic results at a good price. Used this to restore lead with brown staining. One coat worked a treat.